Every member of the Dynamic Team is trained to focus upon satisfying the needs of our clients and potential clients. The best way for us to do this is by maintaining strong lines of communication. In the service industry, information is as vital as the service which is being provided. Our managers and staff know this and work diligently to stay in close contact with every customer. 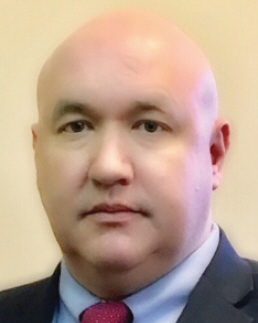 John C. Riddle - President & CEO ( 100% shareholder): Mr. Riddle has guided the collective efforts of Dynamic Security, Inc. and Dynamic Staffing, Inc. since early in his business career. Following a short hiatus during which he left to earn his degree in business administration from Southern Methodist University, he worked in various accounting management positions in Dallas, Texas. He then assumed control of Dynamic upon his father's death in 1976. Since then, he has devoted his full efforts towards building Dynamic into the strong competitor that it is today by developing a robust organizational team of experienced security business professionals. In the year 2000, the Chamber of Commerce named Mr. Riddle "Businessman of the Year", the highest honor given by the Chamber, for his continued business success and contribution to the community. 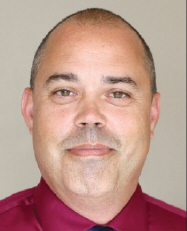 Scott A. Riddle (MCP) - Executive Vice President: Now responsible for every facet of Dynamic Security, Inc., and Dynamic Staffing, Inc. and Mr. Riddle brings to the company more than 25 years of experience, having worked in every operational and sales position. 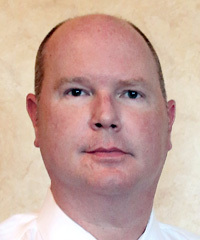 Beginning his career as a Security Officer, Mr. Riddle later worked as Field Supervisor, District Manager, Quality Assurance Manager and Business Development Representative before assuming the position of Vice President for Dynamic Security in 1999 and finally Executive Vice President in 2004. 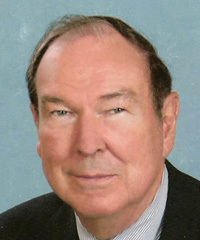 Mr. Riddle has negotiated federal contracts and maintained relationships with multiple federal agencies. And he has fostered contractual alliances with numerous Fortune 500 companies. Serving as an industry vanguard, Scott has also pushed forward the quality of operational reporting by inventing the Dynamic Officer Reporting System (a.k.a. DORS), a cloud based, multi- platform, client focused reporting solution. insight into all facets of financial administration for Dynamic Security. She holds both a Bachelor's and Master's degree in Accountancy from the University of Mississippi and is a Certified Public Accountant. Ms. Arrington is an accomplished Financial Analyst with experience in the service industry and medical fields. Additionally, Gail possesses a technical background, making her instrumental in the implementation and rollout of accounting software systems. She is also responsible for the company's commercial insurance program and works to mitigate risks to both Dynamic and our clients. 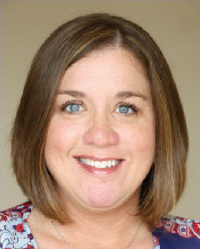 Gail is active in the Shoals community, serving on the Executive Leadership Team of the American Heart Association and is an avid supporter of the local University of North Alabama. as a Security Officer and has worked his way up in the Company, holding every operational position within Dynamic including but not limited to Field Supervisor, Operations Manager, District Manager and Regional Manager before being appointed to his current position of Vice President. Prior to joining the Dynamic team Mr. Peoples proudly served in United States Air Force as a Weapons System Specialist for 20 years. He is also instrumental in Dynamic’s training program as a State Board licensed instructor in in multiple states across Dynamic Security's service footprint in addition to holding many other industry specific training class certifications. being a licensed instructor in multiple disciplines across multiple states. Chris is a national self-defense instructor and active shooter preparedness instructor. He is also a member of the Georgia Association of Professional Private Investigators and Security Managers in addition to maintaining certifications with IAHSS, FDA & ASIS. Mr. Hargrove also competes in his personal time as a Professional Marksman and is a GSSF Member. The talent represented in Dynamic Security’s management spans a broad spectrum including career Contract Security Leaders, representatives from every division of Military Service, the Federal Bureau of Investigation and Law Enforcement. Each of these Industry Leaders consult with our customer in order to formulate a deployment of Professional Security Officers, customize procedures to fit with your needs and establish firm lines of communication. We take tremendous pride in our ability to recruit, to train, and to retain quality minded security officers and provide unrivaled service. Thousands of individuals have chosen Dynamic as the positive environment in which they want to work.